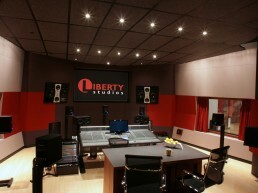 Liberty Studio | Pilchner Schoustal International Inc. 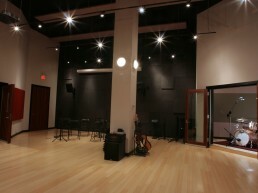 This facility is designed within the context of a tenant space in a re-purposed factory building. 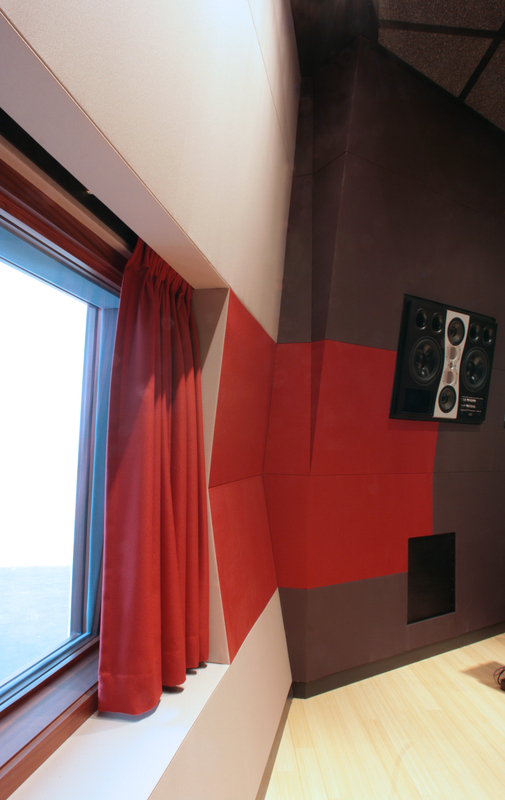 The height of the existing space has been taken advantage of to offer high volume areas for a large control room and studio proper. 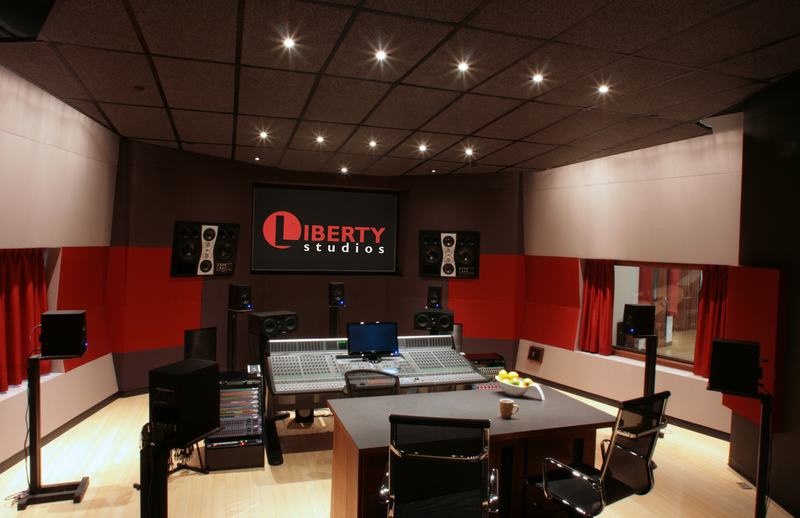 The control room geometry works within the existing structural grid of the building, and is designed with an acoustic treatment scheme that makes any type of mid field surround system possible. 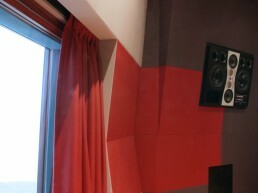 The front wall features wide band trapping and houses large ADAM A6x monitors. 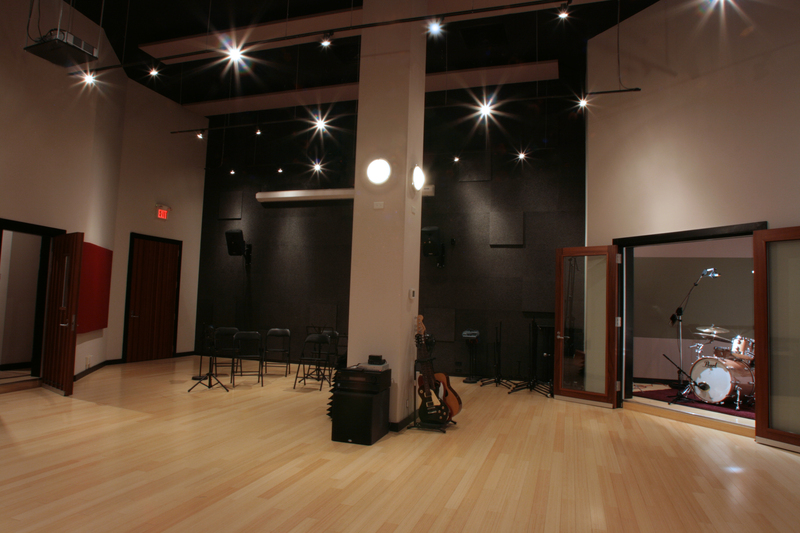 The window to the right addresses the studio, and to the left the lounge and kitchen area which offers natural light to the space. 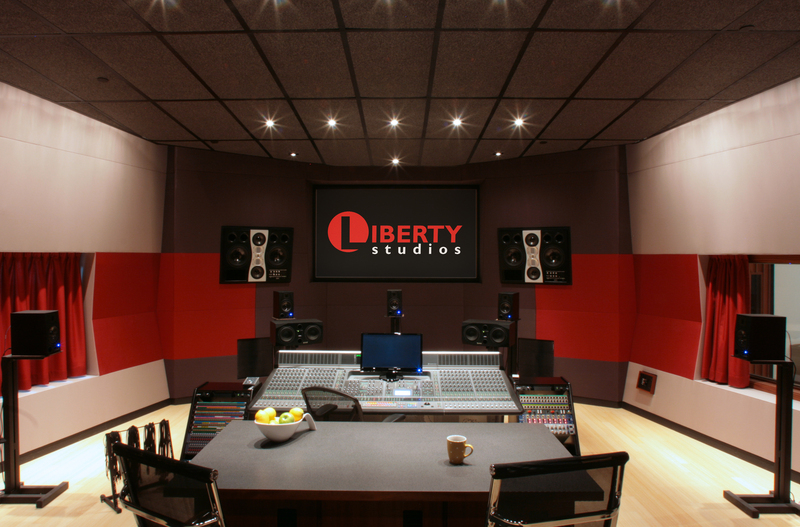 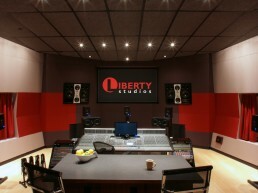 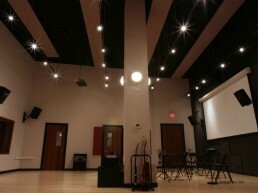 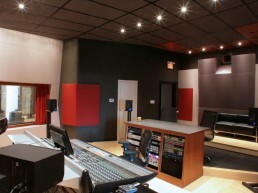 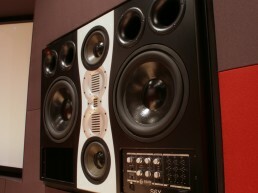 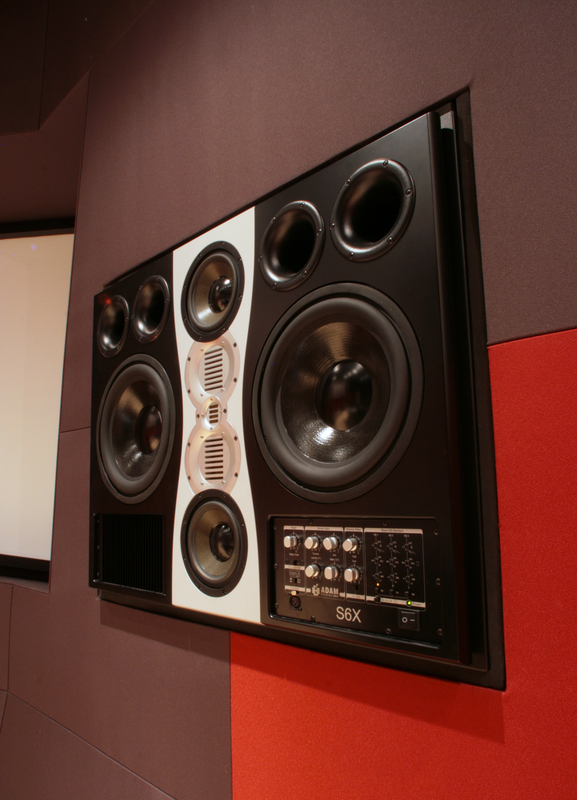 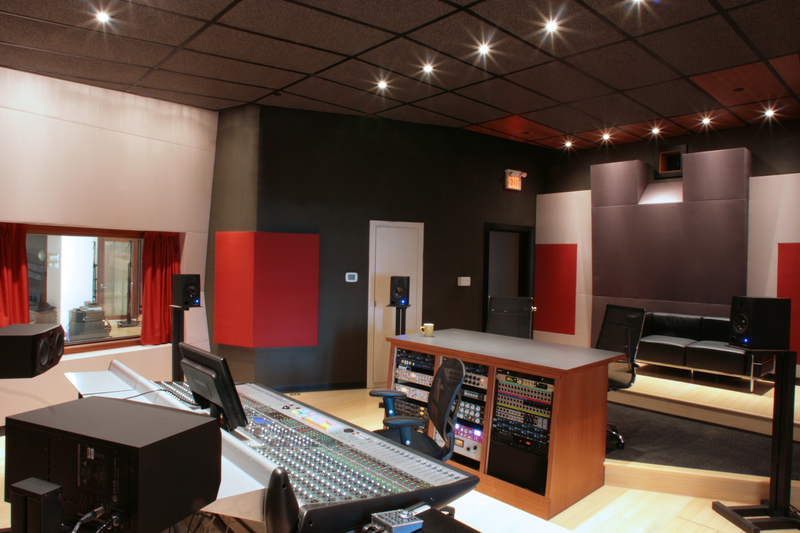 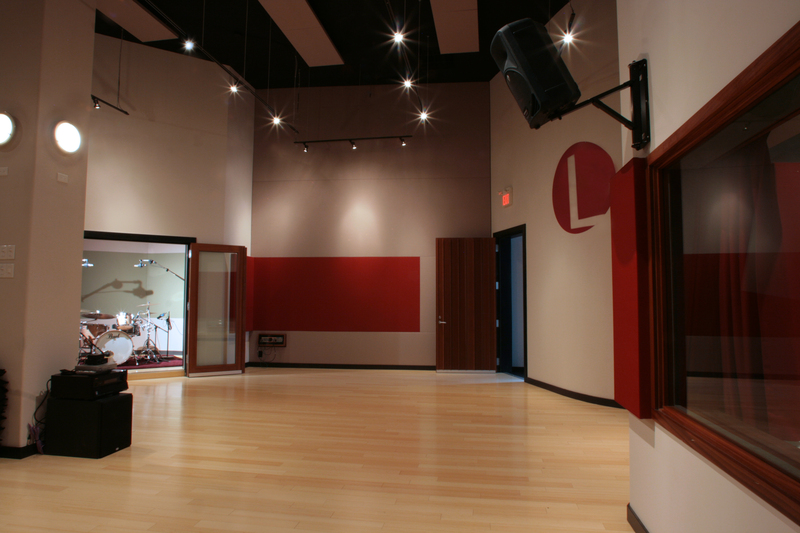 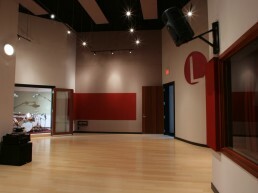 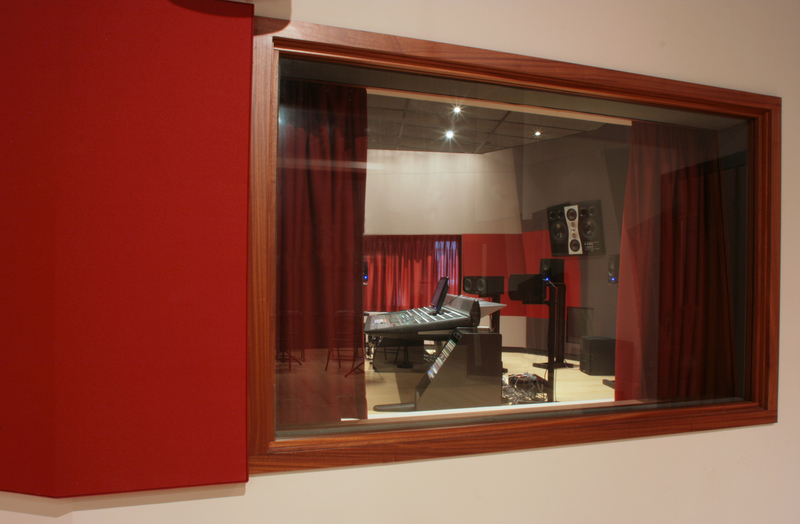 The studio proper feature a variety of acoustic treatments including dedicated LF trapping, and a unique CEL product. 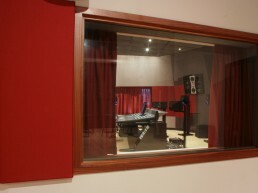 Three isolation booths are adjacent to the studio proper and connect through the space. 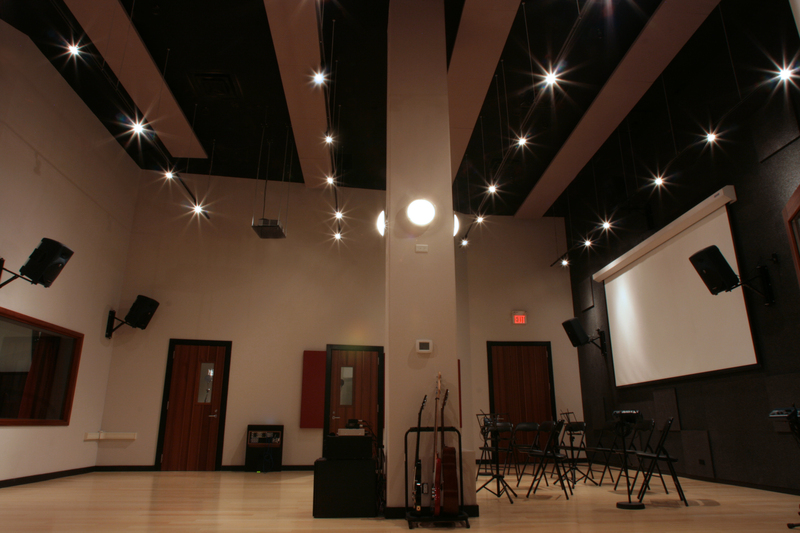 A projection system, motorized screen and surround playback system also make the studio space useful for events other than recording.